ROBERT Pattinson is "showering" Kristen Stewart with affection. The British star - who recently returned to Los Angeles after two months in Australia where he was filming his upcoming movie 'The Rover' - is thrilled to have reunited with his on/off girlfriend, 22, after they took a break to revaluate their future together. A source close to the 26-year-old actor told HollywoodLife.com: "Kristen and Rob couldn't be happier. They are getting along wonderfully and really enjoying each other's company. "Rob has been showering Kristen with affection. He really missed her and is spending all of his time with her. And the dogs of course. I think this is the strongest their relationship has ever been." The couple have been spotted several times out in Los Angeles in recent days, and were photographed holding hands while grocery shopping on Friday (22.03.13). 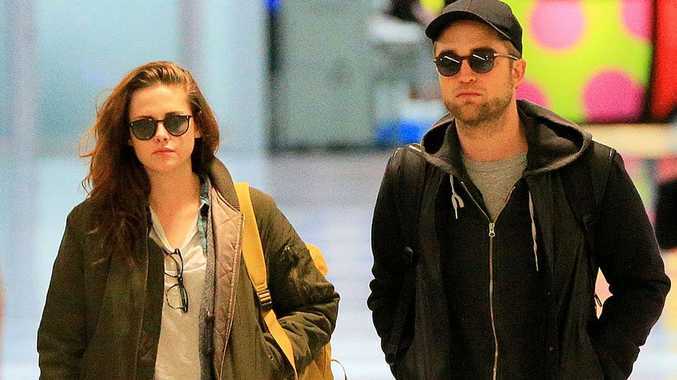 Robert was previously said to have used his time in Australia to contemplate the future of his relationship with Kristen following her fling with married director Rupert Sanders last August. But an insider recently said that the actress was desperate to get their relationship back on track and prove her commitment. A source previously said: "Kristen is confident that her relationship with Rob is stronger than ever and has no problem whatsoever with Rob wanting to take things slow. They have been together pretty much non-stop since he's been back. "He has just only arrived but the first person he wanted to see and spend time with is Kristen, and of course (their dogs) Bear and Bernie."